The sinuses are air-filled spaces in the skull (behind the forehead, nasal bones, cheeks, and eyes) that are lined with mucus membranes. Healthy sinuses contain no bacteria or other germs. Usually, mucus is able to drain out and air is able to circulate. Small hairs (cilia) in the sinuses, which help move mucus out, do not work properly due to some medical conditions. Colds and allergies may cause too mucuh mucus to be made or block the opening of the sinuses. Acute sinusitis is caused by damage to the lining of the sinuses from surgery or infections. Chronic sinusitis may be caused by bacteria or a fungus. Symptoms of chronic sinusitis are the same as those of acute sinusitis, but tend to be milder and last longer than 8 weeks. Regular x-rays of the sinuses are not very accurate for diagnosing sinusitis. Viewing the sinuses through a fiberoptic scope (called nasal endoscopy or rhinoscopy) may help diagnose sinusitis. 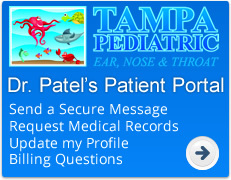 This is usually done by doctor who specializes in ear, nose, and throat problems (ENT). However, these tests are not very sensitive at detecting sinusitis, and are often considered unnecessary. A CT scan of the sinuses may also be used to help diagnose sinusitis. If sinusitis is thought to involve a tumor or fungal infection, an MRI of the sinuses may be necessary. Inhale steam 2 - 4 times per day (for example, sitting in the bathroom with the shower running). Be careful with over-the-counter spray nasal decongestants. They may help at first, but using them beyond 3 - 5 days can actually worsen nasal congestion. At some point, your doctor will consider prescription medications, antibiotics, further testing, or referral to an ear, nose, and throat (ENT) or allergy specialist. Surgery to clean and drain the sinuses may also be necessary, especially in patients whose inflammation returns, despite medical treatment. An ENT specialist (also known as an otolaryngologist) can perform this surgery. Most fungal sinus infections require surgery. Surgical repair of a deviated septum or nasal polyps may prevent the condition from returning. Sinus infections are usually curable with self-care measures and medical treatment. If you are having recurrent attacks, you should be checked for underlying causes such as nasal polyps or other problems, such as allergies.